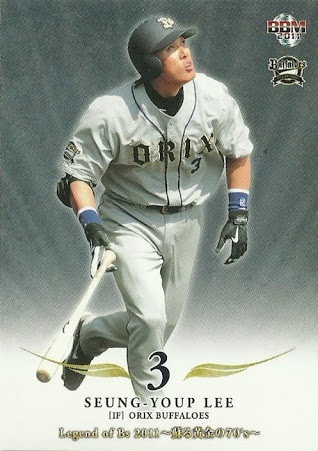 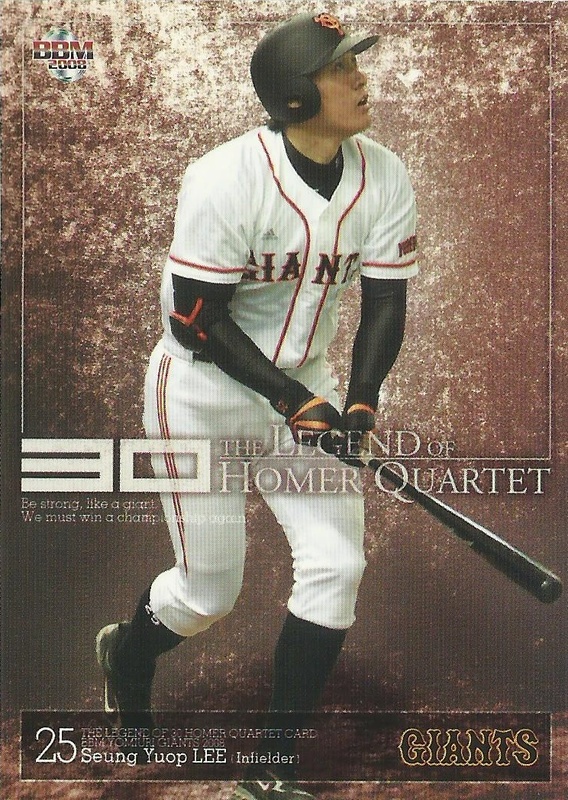 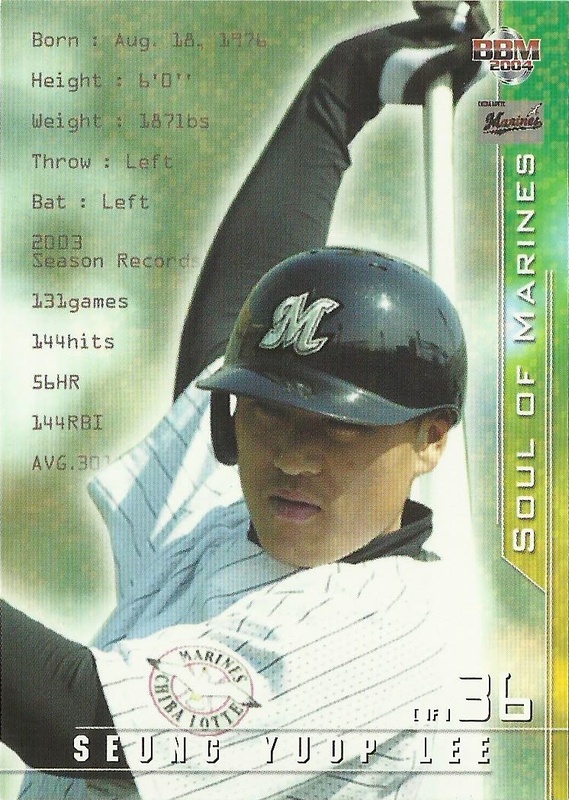 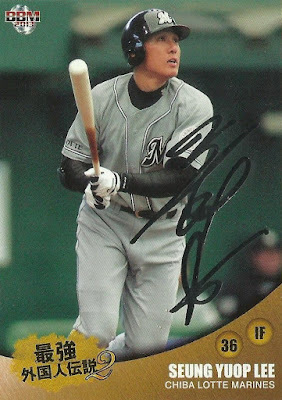 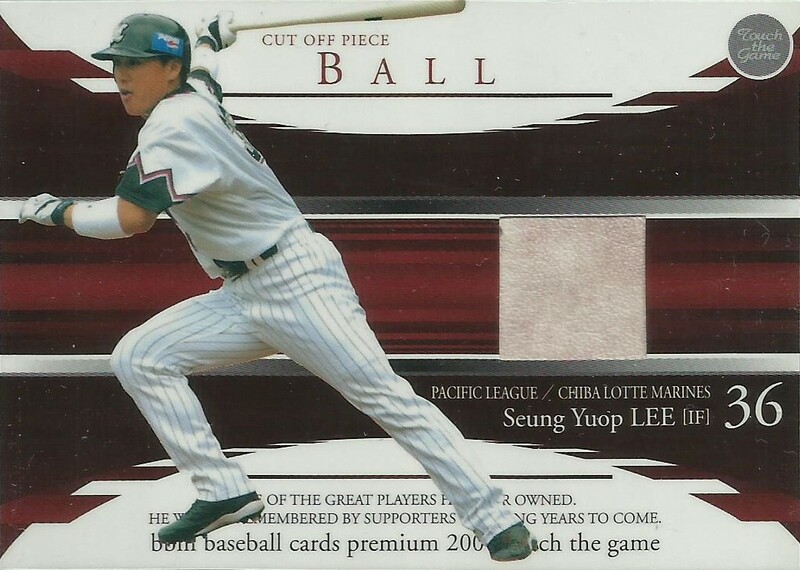 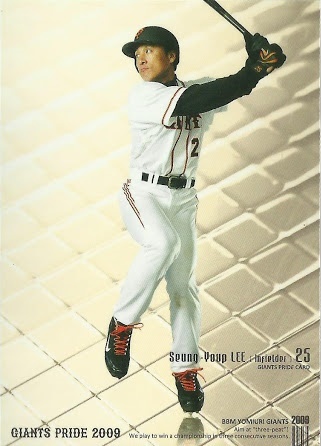 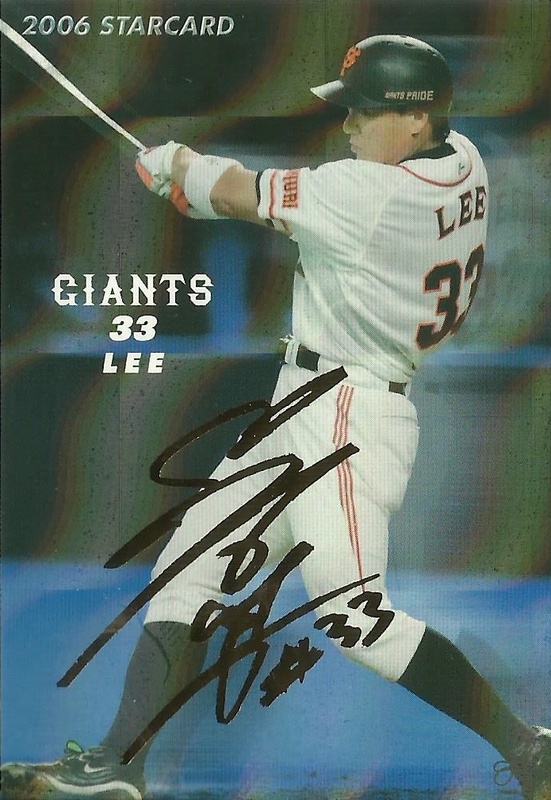 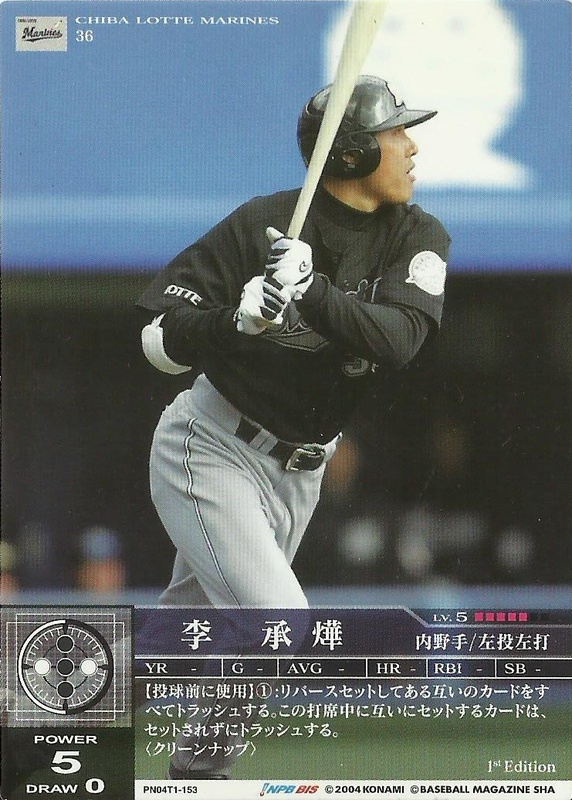 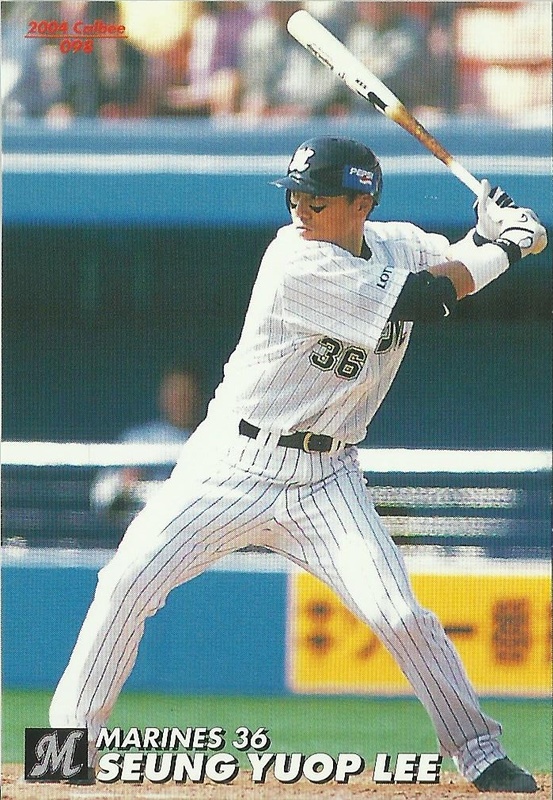 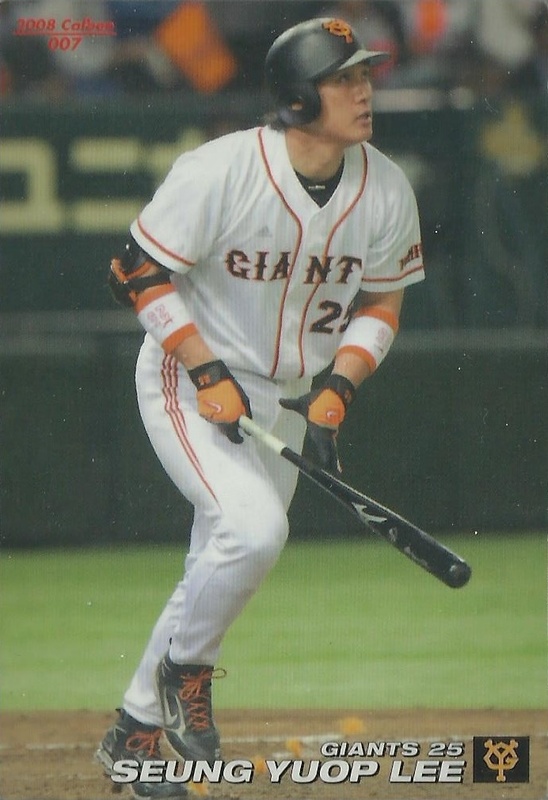 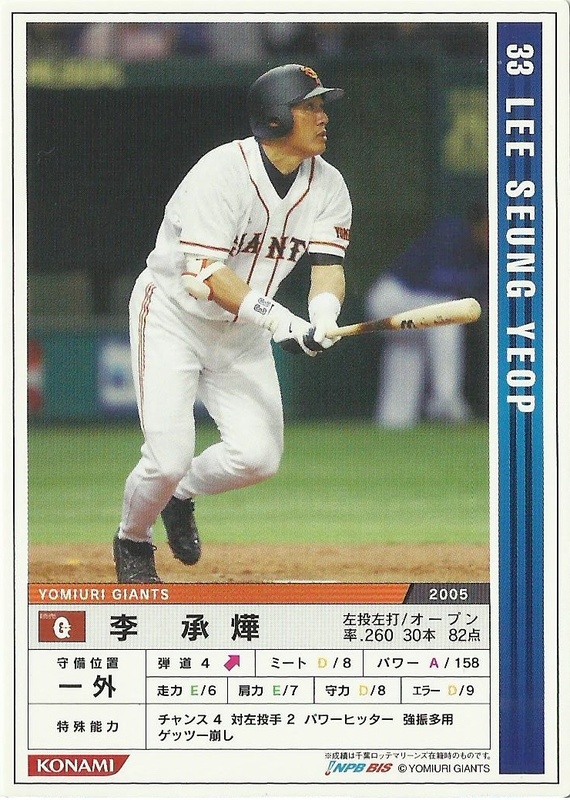 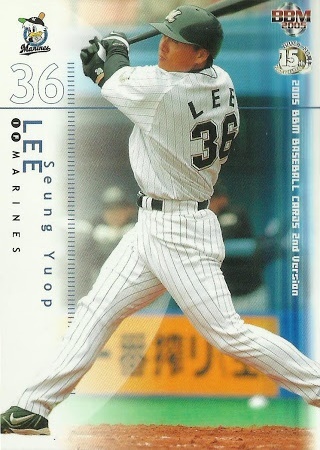 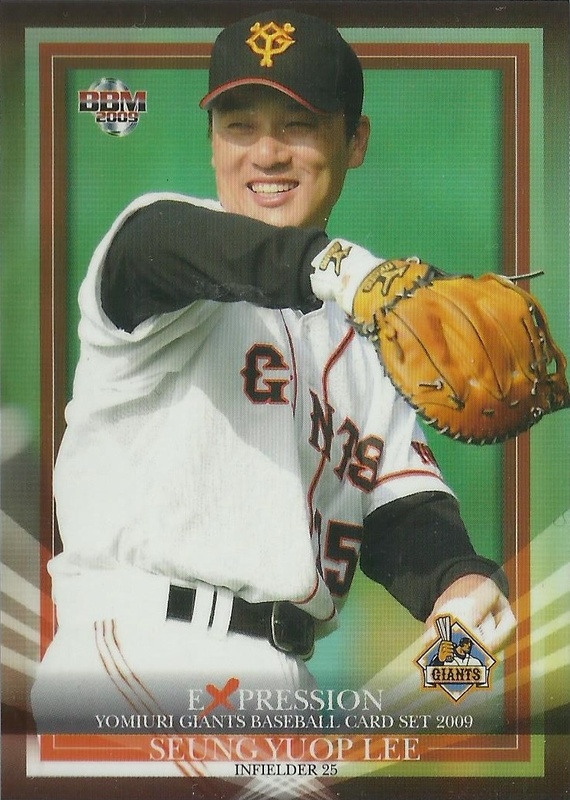 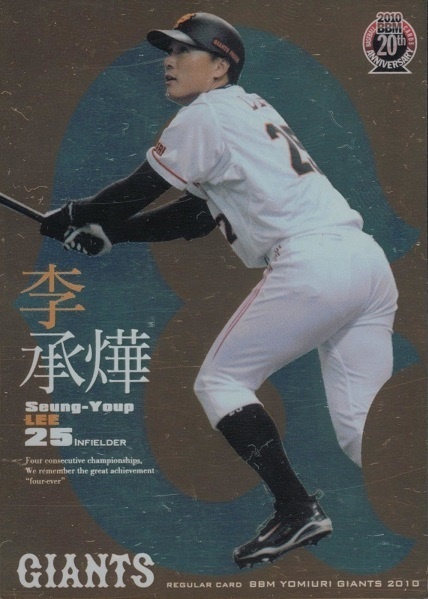 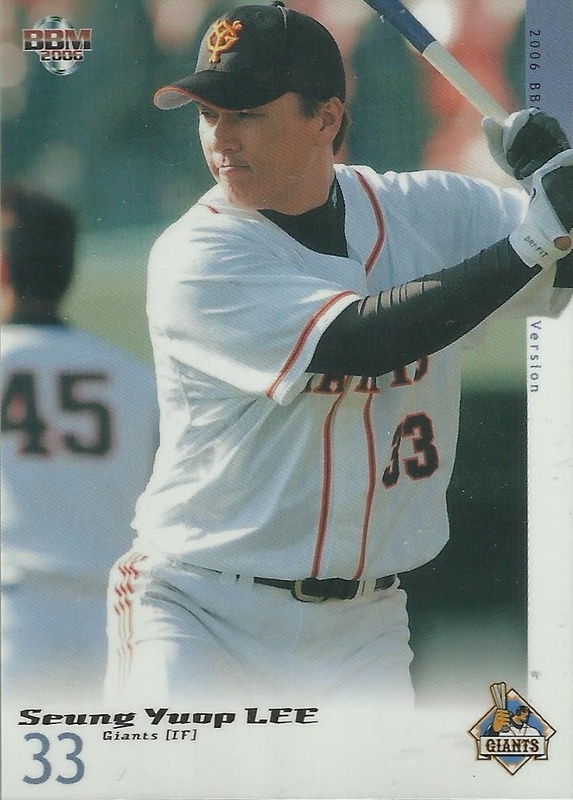 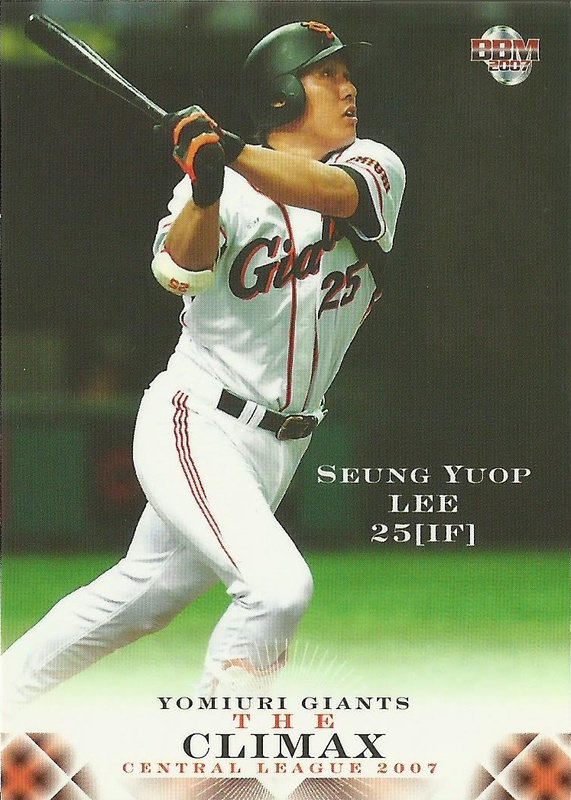 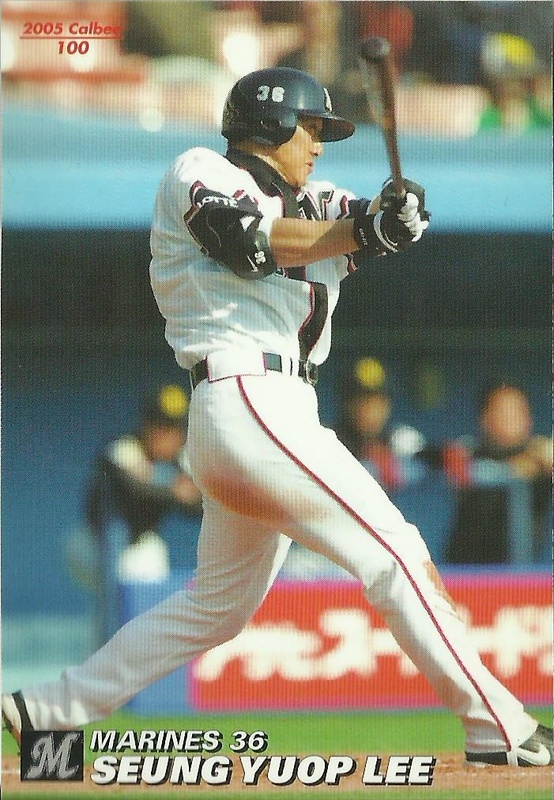 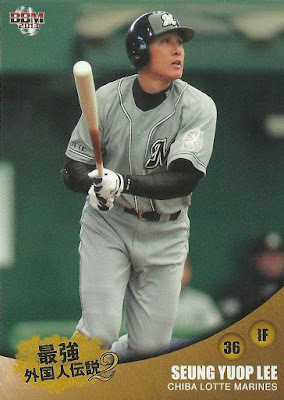 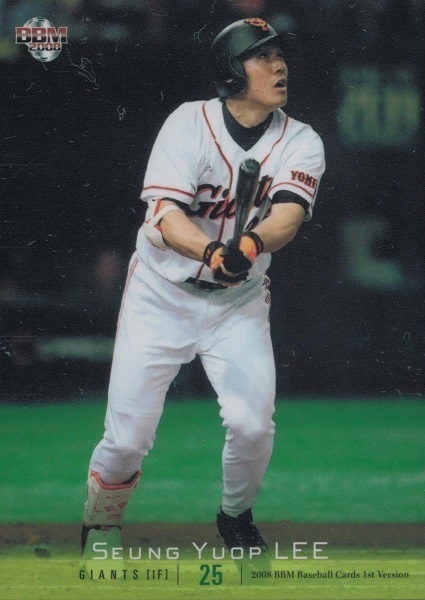 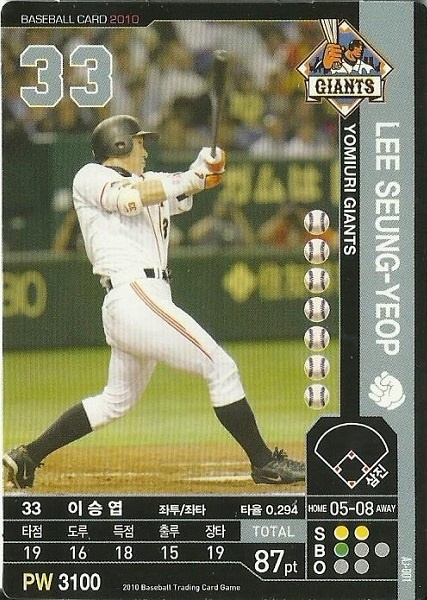 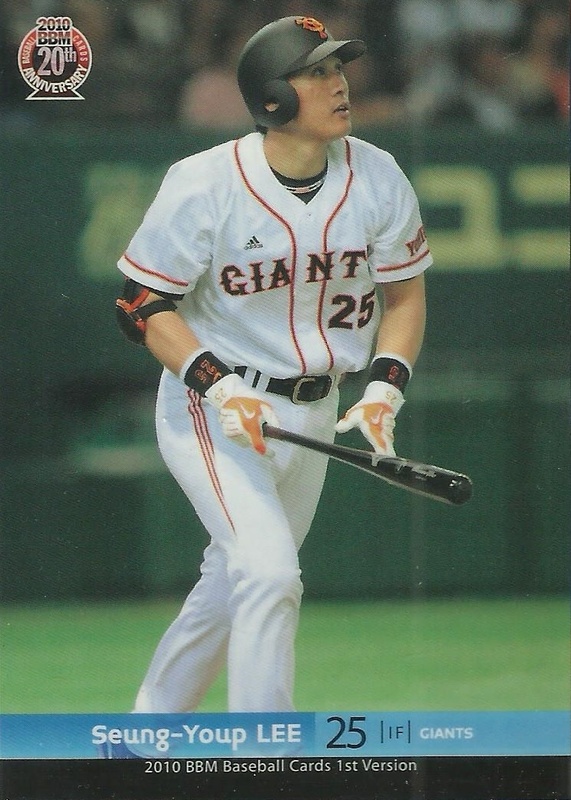 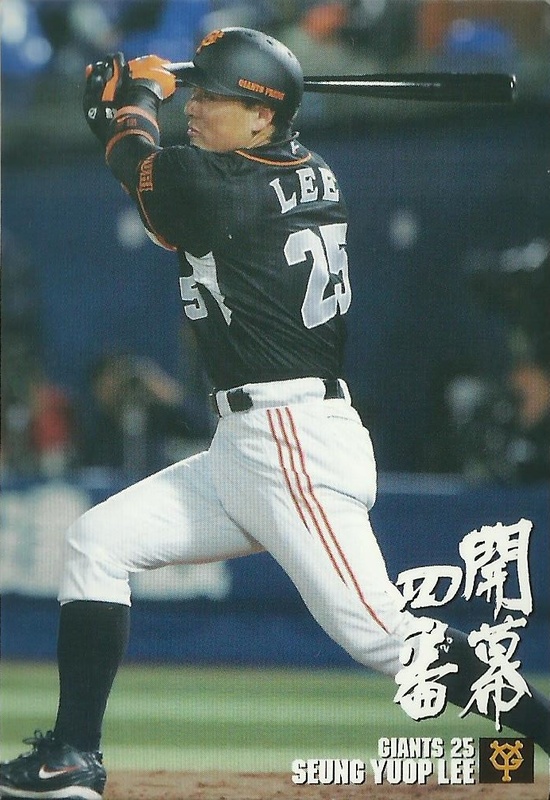 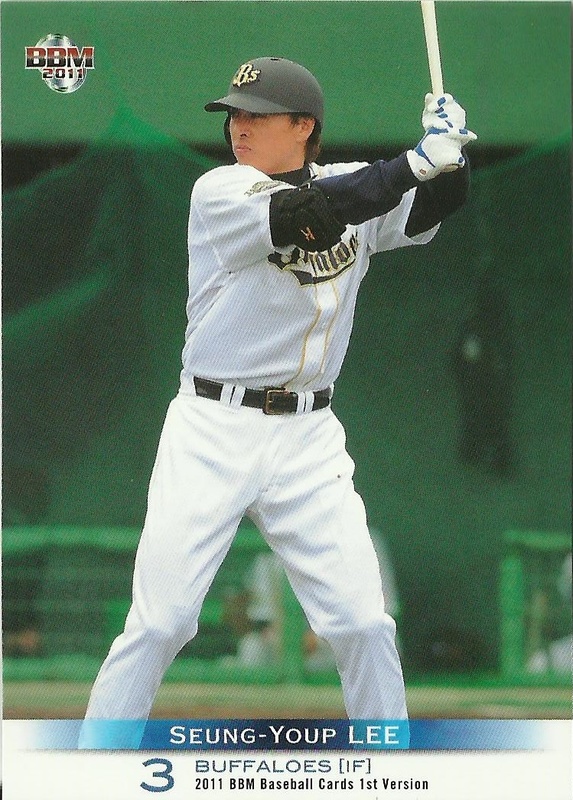 After nine seasons in the KBO, Lee decided to take his talents to Japan where he would play for eight years (2004-2011) and for three teams (Chiba Lotte, Yomiuri, Orix). 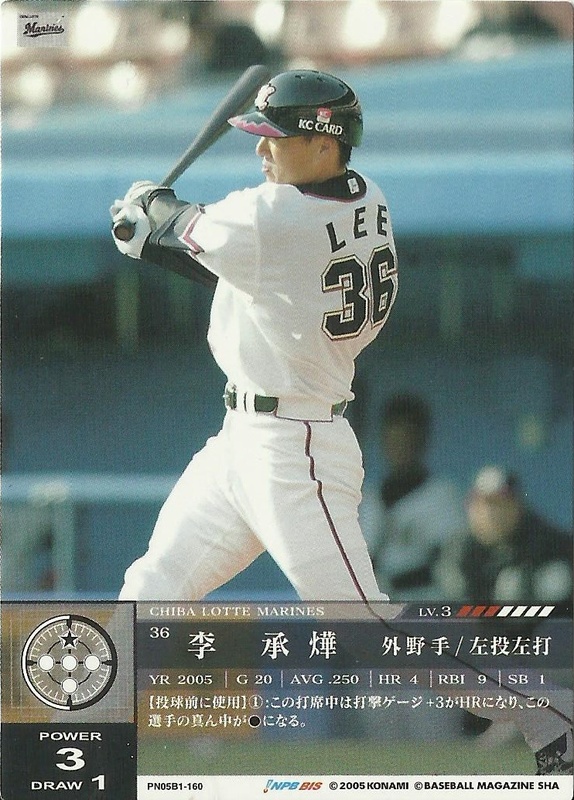 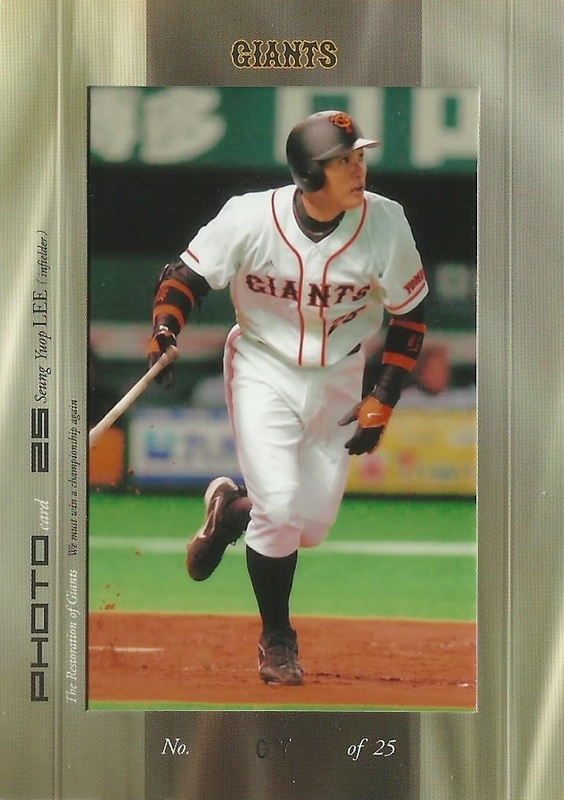 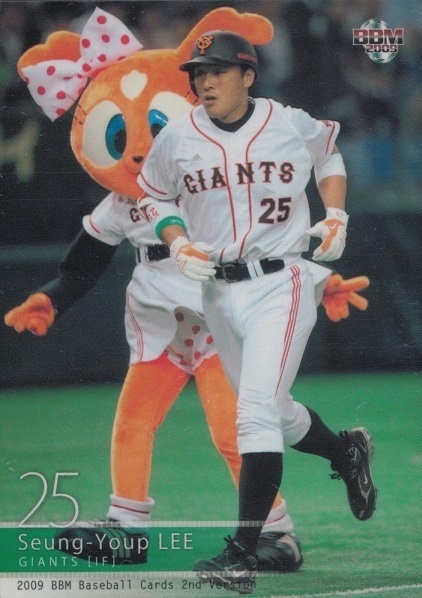 The main Japanese card manufacturers during this span were BBM, Calbee, Konami and team issued cards. Of these, to my knowledge, BBM is the only one to have released autographed and relic cards which are pretty cool. 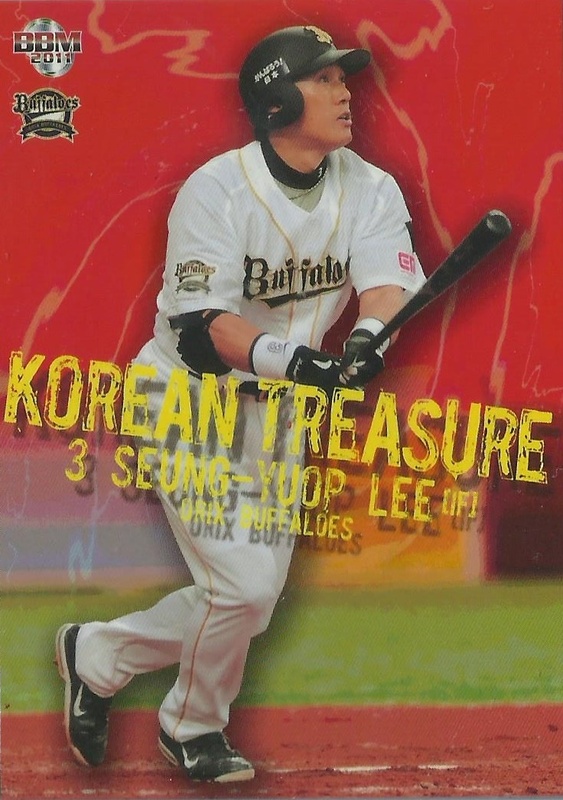 Especially the ball relics.